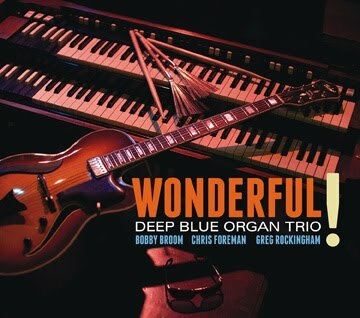 Chicago's acclaimed Deep Blue Organ Trio -- guitarist Bobby Broom, B-3 organist Chris Foreman, and drummer Greg Rockingham -- are heading west next month for the first West Coast tour in the group's 12-year history. The six-city tour begins at Yoshi's San Francisco 2/4 (10pm), then proceeds to Kuumbwa Jazz, Santa Cruz 2/6; Jazz Alley, Seattle 2/7-8; Jimmy Mak's, Portland 2/9; Dazzle, Denver 2/10; and the Rhythm Room, Phoenix 2/11. Fresh from a successful year-end week of performances at the Umbria Winter Jazz Festival in Italy, Deep Blue is looking forward to playing for West Coast audiences and plans to feature material from their latest CD "Wonderful!," a tribute to Stevie Wonder. Their deeply informed, strongly felt versions of nine Wonder songs from the 1970s made a big impact on jazz radio last year. The disc was the most played jazz title in North America late last summer, coming in at #1 on both the JazzWeek Top 50 Jazz Album Chart and the CMJ Jazz Top 40 Chart. Wonderful! finished at #15 on the JazzWeek Top 100 chart for 2011. "The group is thrilled to be getting this kind of attention," states Broom, who produced and arranged "Wonderful!," the trio's fourth CD and second for Origin. "It means that what we're doing is being heard and felt, and in that way we're successful." 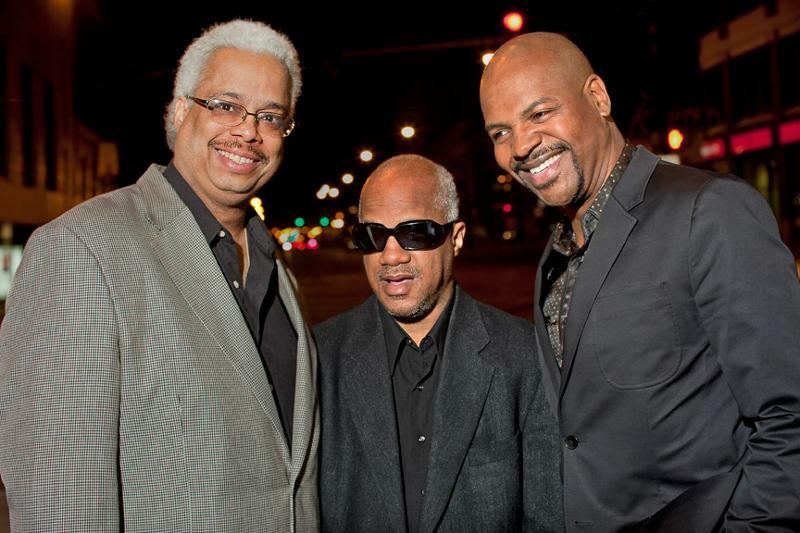 Broom, Foreman, and Rockingham -- who first played together in 1992, and formed Deep Blue Organ Trio in 2000 -- have emerged as prominent purveyors of the jazz organ trio tradition. Prior to "Wonderful!," the band recorded two albums for Delmark (2004's "Deep Blue Bruise" and 2006's "Goin' to Town: Live at the Green Mill"), and 2007's "Folk Music" for Origin. For the past decade, when not on tour, they've held down Tuesday nights at the famed Chicago jazz club, the Green Mill. Harlem native Bobby Broom has played with such notables as tenor saxophone titan Sonny Rollins (early- to mid-1980s, and again from 2005 to 2010), organ maestro Charles Earland, and the iconic pianist-vocalist Dr. John. He has 10 albums under his name, most recently "Bobby Broom Plays for Monk" (Origin, 2009). Greg Rockingham, from Waukegan, Illinois, has been on bandstands since he was a pre-teen, including a decade spent working with Earland. Chris Foreman, born blind in Chicago, has played with such marquee artists as bluesman Albert Collins and the Mighty Blues Kings. National and international performance opportunities have been coming the trio's way in recent years. Since 2008, Deep Blue has opened numerous concert dates for "jazz-pop ambassadors" Steely Dan in the U.S. and Canada. They performed at Jazz Alley in Seattle in 2008, and at the Wilco-curated Solid Sound Festival in Massachusetts in 2010. Their long-overdue New York City debut took place last August, at Dizzy's Club Coca-Cola. In addition to his work with Deep Blue Organ Trio, Bobby Broom has lately been in the studio recording a follow-up CD with trumpeter and close colleague Pharez Whitted and is currently completing a new album with his other long-standing trio (bassist Dennis Carroll, drummer Kobie Watkins). "After the success of my Monk record and now "Wonderful!," I'm excited about my new Bobby Broom Trio offering," says the guitarist. "I'm looking forward to trying to keep things fresh and interesting for the listeners who are with me."